Do you want luscious legs, amazing arms, and abs that will stop traffic? Then Pure Muscle Pump is for you! Using light to moderate weights with lots of repetition, our body pump class will give you a total body workout. It will burn up to 540 calories. Instructors will coach you through scientifically proven moves and techniques pumping out encouragement, motivation with all with great music. Pure Muscle classes will help you achieve much more than working out on your own! You’ll leave the class feeling challenged and motivated, ready to come back for more. Pure Muscle Pump Will Burn calories, sculpt, and tone. Get the results you are looking for by exercising several muscle groups. Opposing muscle groups will be trained equally to create the perfect balance necessary for a strong healthy body. Leg work in this body pump class will consist of a variety of squats and lunges. Isolating Muscle groups from your Hamstrings, Gluts, and Quads all the way down your leg to your Calves and Soleus muscle. Pure Muscle Pump classes will also incorporate functional training techniques to complete your fitness goals. Pure Muscle Pump not only strengthen and sculpts the lower body, class will break down each upper body muscle group to create balance and strength again isometrically as well as functionally for your whole body. Biceps Triceps front, mid and back deltoids, scapula, rhomboids Latissimus Dorsa and Chest. This body pump workout will become complete as Core conditioning will take place through classes along with an abdominal isolated section all within the hour! Bend, push, pull, and twist your way to the ultimate you! 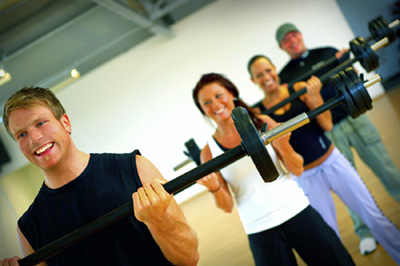 Pure Muscle Pump classes are offered morning and evenings along with weekends. On our Schedule you may also see a body pump class with a plus sign (+) these classes will incorporate a few cardiovascular segments with low and high impact options as we know our heart is a muscle too! Pure Muscle Barbell takes place in our Aerobic Studio.